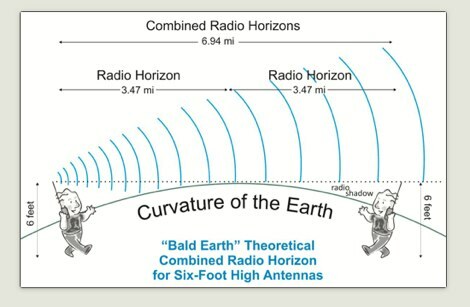 In order to determine total distance that a transmission may be received by two elevated antennas, we must add together the radio horizon distance of both antennas. About How Far Can I Talk With My Radio? The resource is currently listed in dxzone.com in a single category. The main category is Beginner's guides to amateur radio that is about Guides to amateur radio for beginners. This link is listed in our web site directory since Thursday May 21 2015, and till today "How Far Can I Talk With My Radio?" has been followed for a total of 287 times. So far no one has rated yet, so be the first to rate this link ! Share How Far Can I Talk With My Radio?